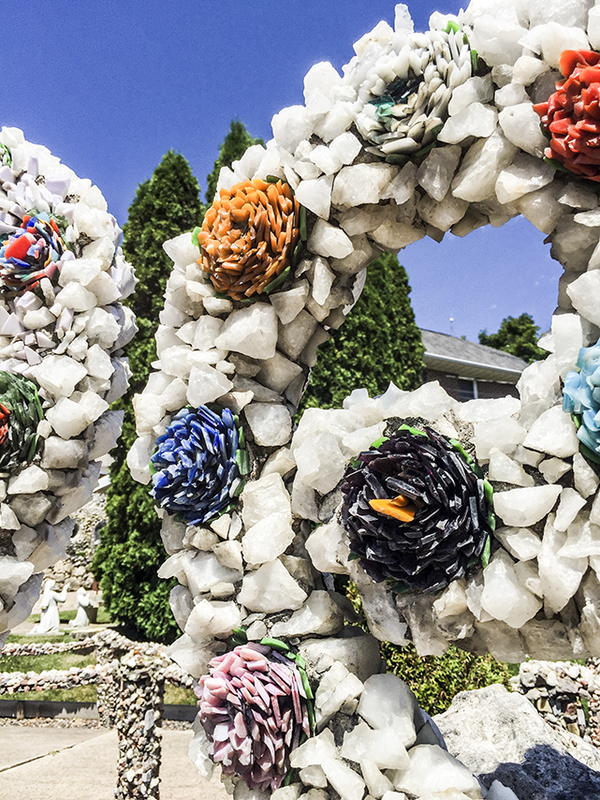 The Dickeyville Grotto is a must-see roadside attraction in America for anyone who loves craft and admires detail. You'll find the grotto on the grounds of Holy Ghost Catholic Church in Dickeyville WI. 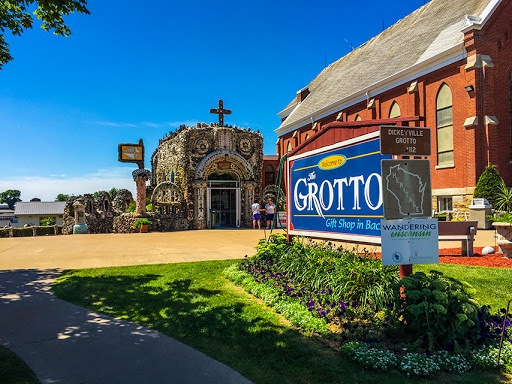 A five minute diversion off the freeway (Highways 151, 61, and 35) between Platteville and Dubuque, the Grotto welcomes travelers to the Southern end of The Great River Road in Wisconsin. In the early 1900's a priest and pastor, Father Matthias Wernerus, set himself to the design and construction of mind-blowing mosaic encrusted structures. 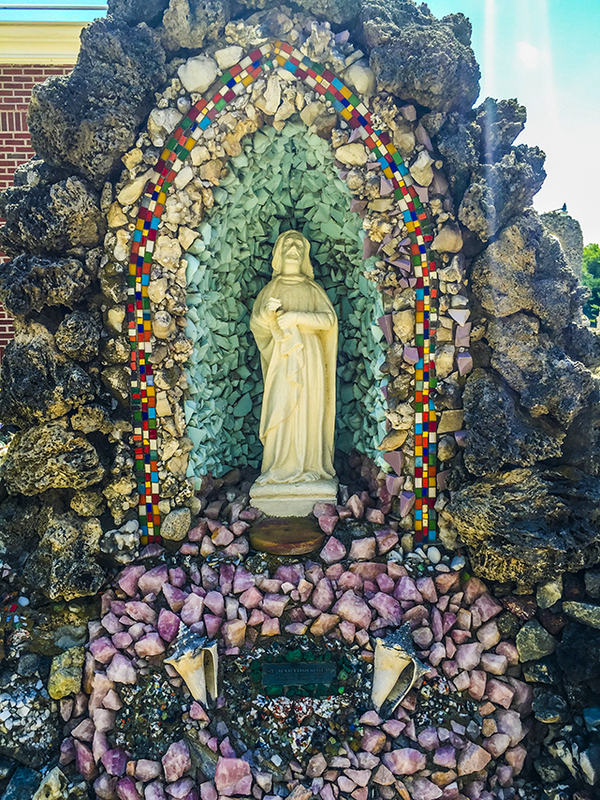 The themes of the grotto are love of God and love of country. Considered an archetype of outsider art, The Dickeyville Grotto has drawn interest and visitors from around the world for nearly a century. 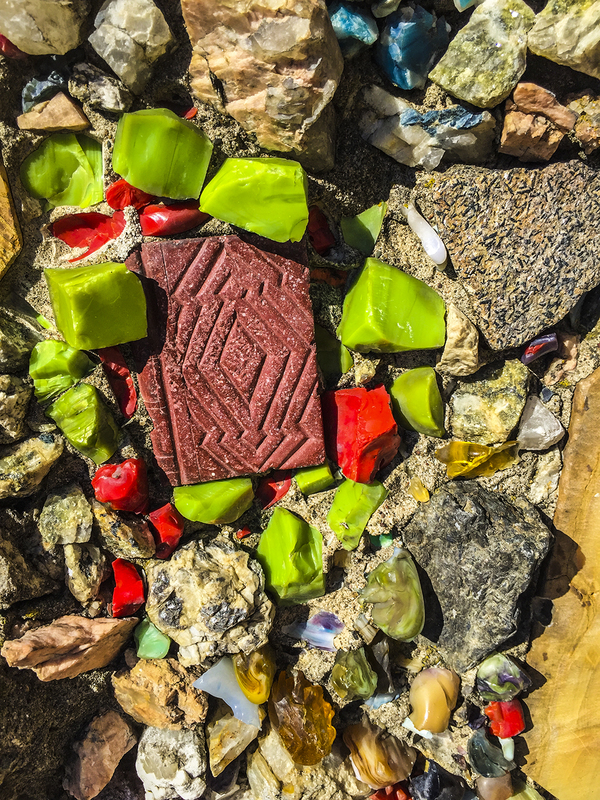 It is a place for both spiritual contemplation and artistic investigation. 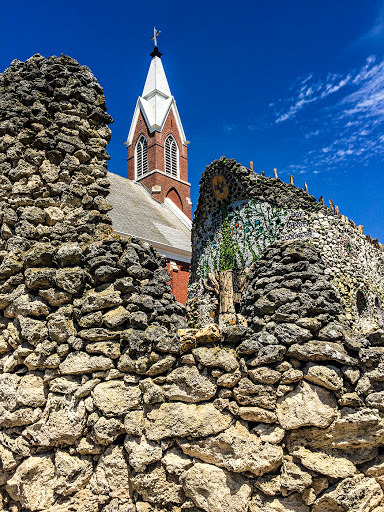 The pilgrimage culture is a unique one, and interesting to observe. There are several "holy sites" in Wisconsin that I have witnessed. Places of pilgrimage. 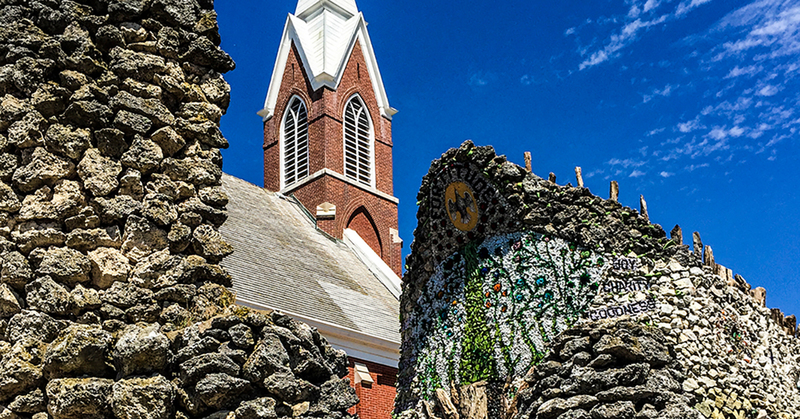 Holy Hill Basilica in Hubertus is Wisconsin's largest and most visited shrine. You can wait in a line 200 people deep to have whatever item you like be officially blessed by a priest. I once saw a woman having her crockpot blessed. And, at Holy Hill it is common to have a tailgate picnic in the parking lot before Sunday services - an event that is ironically similar to the tailgate parties before Brewers Games at Miller Park. 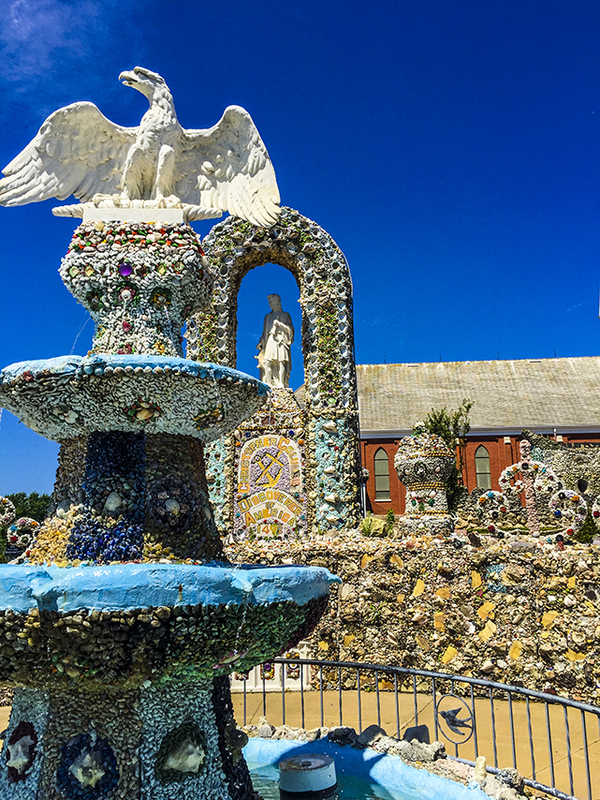 It is precisely this sort of culture that Father Matthias feared would descend upon his grotto. He envisioned a future where ice cream cone wielding children posed for pictures next to an annimatronic likeness of himself and ran off to ride the carousel in the graveyard. For some of us, sadly this is not the case. With construction now complete on the expansion of highway 151, hardly a soul takes the time to divert off at Dickeyville to see the Grotto. 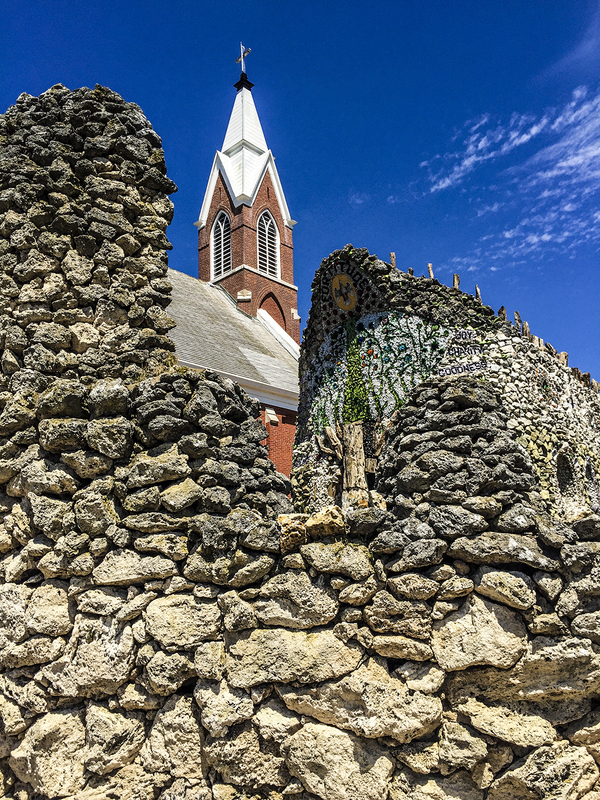 The quiet town of Dickeyville has lost its status as a highway town; as a landmark for car trippers on a scenic drive through God's country. So, today the Dickeyville Grotto is what Father Matthias intended it to be - a place for peace and contemplation for the local parishioners and townspeople. The glistening mosaics of found objects and precious stones trace the singular devotion of labor by a wholly devoted servant of God. 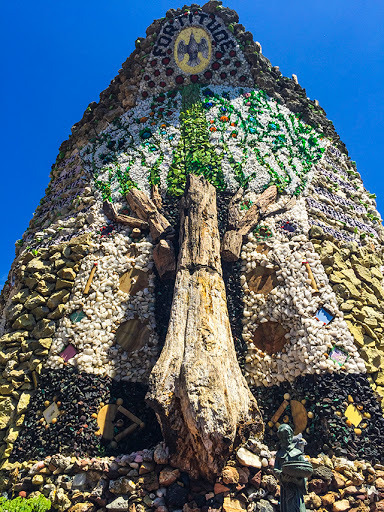 The iconic gestures and detailed representations found at the grotto are no less astonishing in artistic achievement than Michelangelo's mosaics installed in the halls of St. Peter's Basilica. 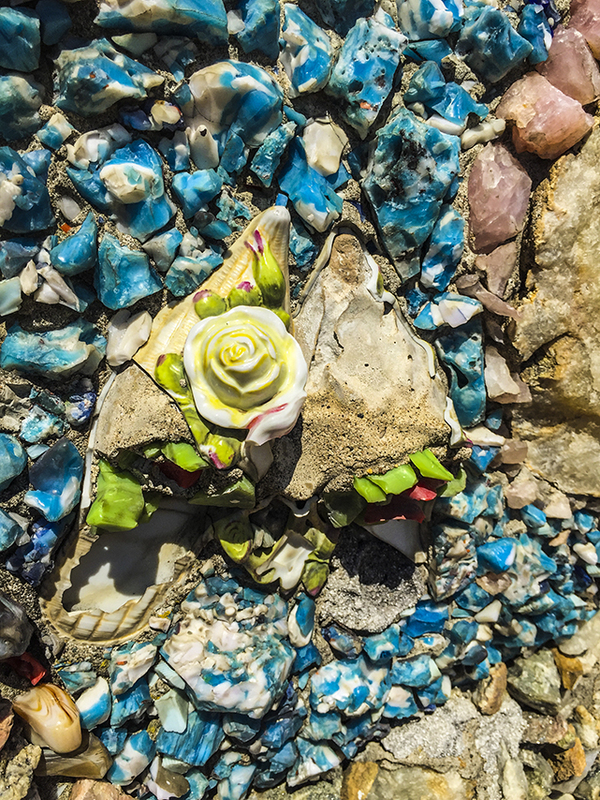 Yet, these are compiled of broken dishes and stones set into globs of concrete. It is a simple message of piety and modesty - that beauty can be expressed by any child of god, from any far off place, with merely the materials on hand that the divine has provided. A message that life is what we make of it, and that place is where we are.